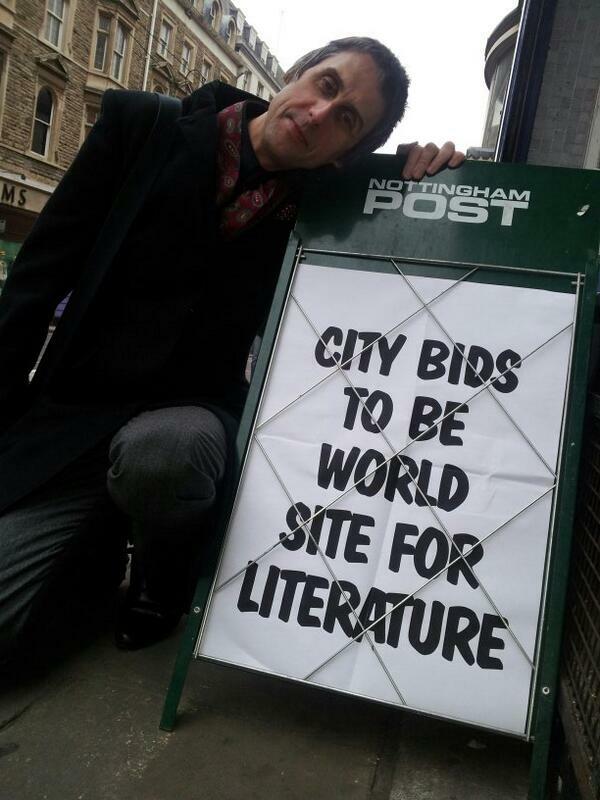 Nottingham: UNESCO City of Literature? It’s a good time to be living in Nottingham at the moment. There’s a real buzz about the place and at long last we’re slowly starting to get the recognition we deserve in the wider press. Let’s just remind ourselves of a couple of things that are going on. The Nottingham Writers’ Studio, of which I am the Chair, has moved to new premises at 25 Hockley (hope you will join us at our launch on the 16 May) which has an incredible performance space downstairs and four offices to rent to like-minded organisations. As independent bookshops fell below 1000 in April, we bucked the trend when Ross Bradshaw opened up the Five Leaves Bookshop. 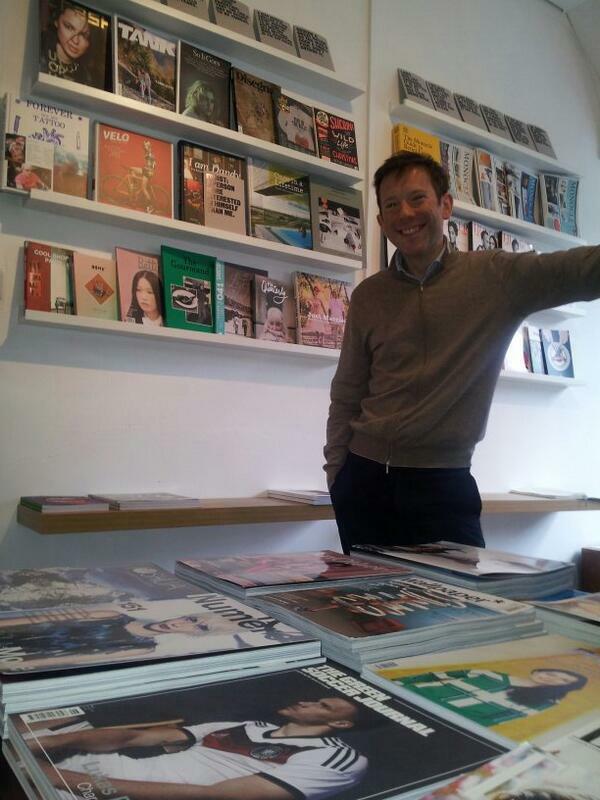 This was recently followed by Ideas on Paper, a bespoke magazine shop in Cobden Chambers. We’re home to more publishers than I have fingers which includes Pewter-Rose Press, who publish short stories in an era that keeps claiming this format is dead and Candlestick Press, whose novelty poetry pamphlets ‘More than a Card’ have helped make poetry more accessible. We have a writer development agency in Writing East Midlands who organised a Writers’ Conference in April as well as ongoing workshops for aspiring authors. We celebrate local authors through The East Midlands Book Award and have a city-wide literature festival in October called the Festival of Words. When you start to throw local writers into the equation such as Betty Trask winner Nicola Monaghan, Booker shortlisted author Alison Moore, or Impac winner Jon McGregor, it’s clear we have writers worth reading, each following on in the footsteps of Byron, Lawrence and Sillitoe et all. All of which has led to a recent collaboration by local organisations, (thanks in particular to Pippa Hennessy, Stephen Lowe, Bromley House Library and City Council), to put in a UNESCO bid for Nottingham to be officially recognised as a City of Literature. So you can see why I find it so hard to leave my home town (I’ve left four times but always been drawn back by the people). For the UNESCO bid to be successful then everybody involved in the writing industry needs to find new ways to work together and support each other. I’ve done this recently through an interactive graphic novel I’m editing together called Dawn of the Unread. It aims to support libraries and independent bookshops by raising awareness of local authors and our incredible literary history. In addition to the links we’ve made within literary circles we’ve also extended out into the wider community by partnering with design agencies, colleges, universities and local action groups such as the Women’s Centre. We’ve also incorporated news of the UNESCO bid into one of our pages, which is why news like this needs to be shared so that other projects can be reactive and supportive. Nottingham is not just a creative quarter, it’s a creative city. So next time you’re thinking of putting together a project remember our streets are full of stories. As I often like to smugly joke to people: You can’t walk down the street in Nottingham without bumping into a writer. But finding a decent plumber is a bleddy nightmare. This entry was posted in Nottingham Writers Studio, Project progress, Reader and tagged cities of literature, nottingham, Nottingham Writers' Studio, UNESCO by James. Bookmark the permalink. James is the Literature Editor of LeftLion magazine. He is also an academic and a writer who has been published in various magazines and books. This means he spends most of his time in front of a computer screen writing about life instead of living it. Therefore, do not trust a word he says. a quick shout out and tell you I really enjoy reading through your posts.